This is an article about Trevor Story, but don't worry. It will be completely pun-less. Every possible play on his last name has already been made hundreds of times over. Besides, let's be real. All anyone wants to do right now is watch that home run again. That's the 505-foot home run that Story blasted in the Colorado Rockies' 5-3 win over the San Francisco Giants on Sept. 5. It's the longest home run of at least the Statcast era (since 2015), and possibly ever. After all, it's not as if the measurements of legendary dingers of yesteryear can be trusted. In any case, that prodigious wallop is a grand ol' feather in the cap of a player who's quietly become the best shortstop in the National League. Homers are certainly a big part of Story's case. His big blast was merely the loudest of the 32 he's hit this season. No other NL shortstop has more than 17. Throw in 40 doubles and 25 stolen bases, and he's already had a season unlike any shortstop ever. Meanwhile, Story also co-leads his fellow NL shortstops in average (.293), and leads in on-base percentage (.347), slugging percentage (.558) and wins above replacement (5.0). But if it feels like the 25-year-old has been doing all this under the radar, that's because he has been. Story only made the NL All-Star team as a backup to Brandon Crawford. He's attracted less attention on Google all season than Los Angeles Dodgers shortstop Corey Seager, who had Tommy John surgery in May. Per Richard Justice of MLB.com, he's merely on the periphery of the NL MVP race. It seems safe to chalk this up to the Rockies effect. 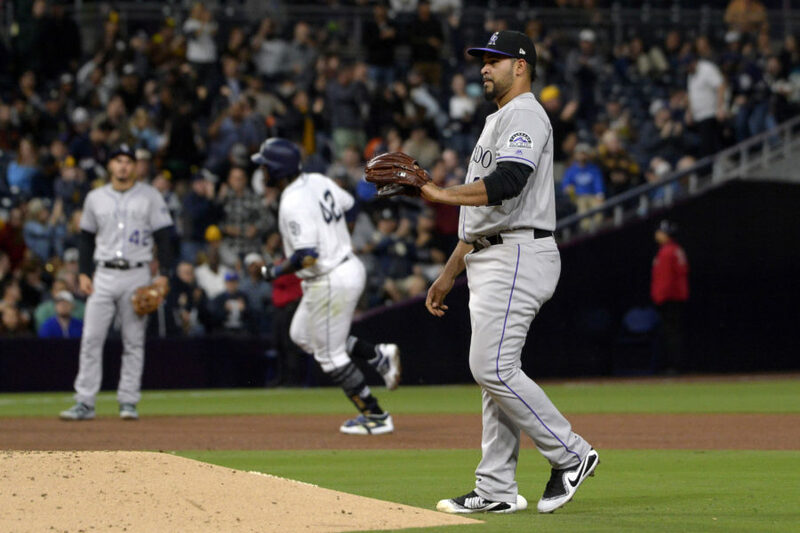 Even when they're doing well—as they are now in leading the NL West race—they tend to be treated as an oddity on the national stage. And whenever one of their hitters puts up big numbers, there's always the "yeah, but Coors Field" clapback. It helps to have power that plays anywhere. Story's 43.5 hard-hit percentage since 2016 ranks fifth among qualified hitters. He's also "barreled" 12.1 percent of his batted balls, which easily tops his fellow shortstops. So, you see, his 505-foot clout wasn't that much of an outlier. But while Story's power generated 51 home runs in his first two seasons, his .253 average and .322 OBP underscored his trouble with consistency. His fatal flaw was his 33.1 strikeout percentage, which placed him behind only Chris Davis and Miguel Sano. In 2018, however, Story has cut his K% down to 26.1 percent. This marks an improvement of historic proportions, according to Jeff Sullivan of FanGraphs. The recipe for it involves a little Kris Bryant and a little Mike Trout. Like Story, Bryant was a big-time strikeout magnet when he broke into the majors in 2015. His solution was to flatten his swing, cutting down on its uppercut quality and allowing for a more direct path to the ball. Lo and behold, his strikeout problem isn't a problem anymore. 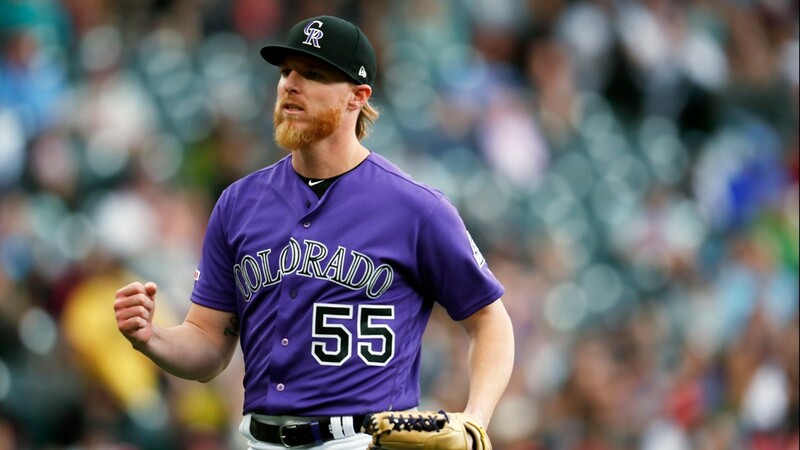 According to Nick Groke of the Denver Post, the Rockies started pushing Story to make a similar change late in 2017, and it's paying off now. His average launch angle is down from 18.8 to 16.6 degrees. This has cost him some fly balls but gained him quite a bit of contact. Another issue Story had in his first two seasons was a reluctance to swing, even when pitches found the strike zone. That placed him on the wrong side of the fine line between patience and passivity. Enter Brandon Sherard, Story's longtime friend and hitting coach, who pressed the slugger to alter his approach. “One of the biggest things we did was have him change his mindset to where he was hunting the ball out in front of the plate and slowing his body down,” Sherard told Patrick Saunders of the Post. As Story has made efforts to become a better hitter, his other talents haven't fallen by the wayside. He's a threat on the bases because he's one of the fastest shortstops in MLB, with an average sprint of 29.6 feet per second. His defensive quality is harder to pin down, yet defensive runs saved leans decidedly to the positive. The video offers plenty of support in favor of that conclusion. Ultimately, there aren't any reasons to doubt that Story really is as good as his numbers suggest. The tools were there from the beginning. By adding some nuance to his game, he's permitting himself to squeeze more out of them. Which is to say: He's worthy of attention, even when he's not hitting the ball untold distances.